This is the second of Grahn’s projected four-volume “Chronicle of Queens” series. 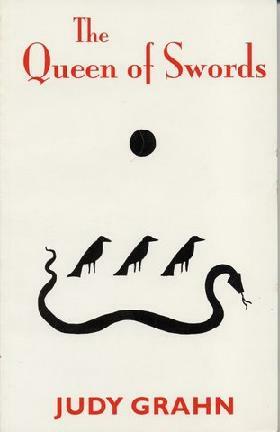 Subtitled “a play with poetic myths,” it evolves around a modern-day Helen (associated with Inanna, the Sumerian Queen of Heaven and Earth) who descends to an underworld complete with a lesbian bar and a chorus of punning crow-dykes who put her through various trials designed to release her powers. The play is followed by two poems, connected thematically and imagistically, and exhaustive notes explaining the mythic allusions. Grahn’s Queen series is ambitious, difficult, complex, interesting, and worthy of our attention. Grace Bauer, formerly with New Orleans P.L.